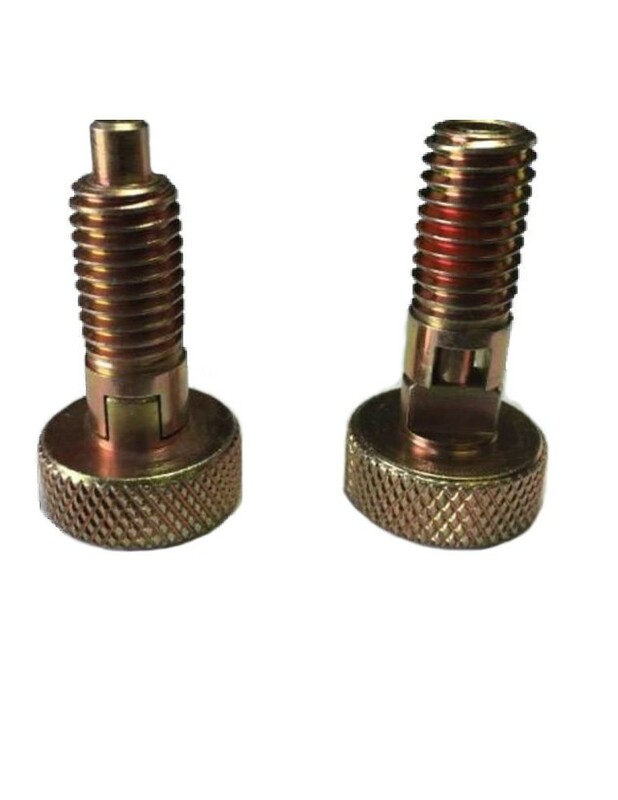 Like other plunger styles, retractable plungers (also known as indexing plungers) are used to connect two objects, with the added features of positioning, locating, and or indexing. The model below is made of brass for added corrosion resistance and features a 90 degree position locking rest to ensure stability. The knurled rim knob allows for maximum grip regardless of wet or oily situations, thereby ensuring positive engagement and disengagement every single time. For high vibration situations these plungers come with an optional nylon locking element to make sure the plunger stays put. These devices can be found in a variety of settings and applications including fixtures, gym equipment, tables, medical devices, and conveyors.